My cousin Crystal died Saturday morning. After a brutal battle with breast cancer, she could fight no longer. The final days of her life were spent in a bedroom with her sister, my cousin, Roxanne, who is also dying. The doctors say she will likely die before Christmas. 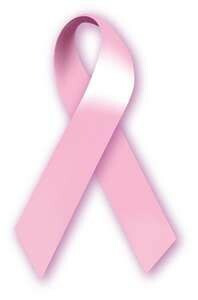 Both of my beautiful cousins will die from breast cancer. I spoke with my aunt at length on the phone today. She alternated between tremendous strength and overwhelming sadness. She begged me to be careful. She spoke of breast self exams and mammograms. We talked of her loss…both of her children. Crystal has two children, both in their early 20s, neither of whom have children of their own yet. As I try to comprehend what they are feeling, I can’t help but think of my own children. And my aunt’s words echo in my ear…breast self exams and mammograms. She spoke of cancer that had reached Crystal’s bones and finally her brain. I think of my aunt and what she must feel when she’s trying to fall asleep at night. Both of her children. Taken from her. We should not outlive our children. My heart is truly heavy. Please educate yourself about breast cancer and learn how to lower your risk at the Susan G. Komen Foundation. Do it for your mother. Do it for your children. Do it for yourself. I’m in a complete funk. You could call it writer’s block. Or what feels like the onset of depression. So, I haven’t really blogged. I haven’t shared many small moments, or things that brought me joy, or much, for that matter. I just haven’t had it in me to write. But, I know that in order to get back to it, I have to just get something down, even if it doesn’t make much sense. I need to learn to take on less…to say “no” more often. Apologies, even when heartfelt and accompanied with regret, aren’t always accepted. And I have to be okay with that. This baby that we want so desperately may never come. Far too many small moments have been slipping right through my fingers and I’ve felt powerless to stop them. There hasn’t been nearly enough music, laughter, ice cream, finger painting, and squealing lately. Everything just feels big. And heavy. Please bear with me as I regroup and refocus a bit. I’ll get it together…I promise. I lay there on the paper sheet as she squeezed the warm gel onto my ever-expanding stomach. I lay there and I prayed…please let this baby be healthy. I lay there and I prayed…please let this baby be a girl. 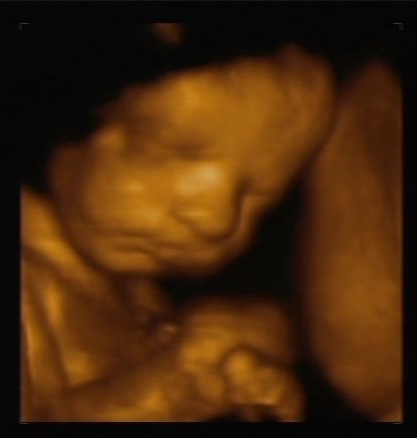 The slurping and squishing of the gel, the gray screen, and the endless chatter of the sonographer did little to crowd out my silent prayers. Please…another girl…please…a sister for Katie. Let her have a sister…the sister that I never had. Then came the words that we had prayed we’d hear…the baby looks beautiful. Then, the words that I had prayed we wouldn’t…what a sweet little guy. Please no…please let her be wrong. The chatter, the congratulations, the crinkle of the scratchy paper towels did little to mute my sorrow. I smeared at the gel…a boy. I hastily dressed…not a girl. In all of my dreams, I never envisioned a son. I never wanted a son. My dreams held another baby girl… a sister for Katie. I cried and I grieved for my hopes of another daughter. And I truly hated myself for being ungrateful for this healthy baby. I shopped for him, I filled his closet with sky blue and khaki and chocolate brown. And I came to accept all that we had been given. And, of course, I loved him from the moment that I saw him…I had never doubted that I would. But, in the quiet moments during those middle of the night feedings in his room, my heart softened. In the soft morning light, as he melted into me, my heart expanded. With each smile, each hug, each mischievous giggle, my heart has stretched further than I ever dreamed it would. Like sharp, broken glass, tumbled by the ocean current, my love for him smoothed and softened. I cannot imagine another day of my life without him in it. My love for him, like sea glass. My treasured boy has taught me that sometimes, out of disappointment, comes immeasurable joy. I have a son…a beautiful, perfect, irreplaceable son. And he is exactly what I needed. I’m writing about gender disappointment over on Babble today. I would love it if you came by. We removed Katie from her carseat, securely buckled her into the stroller, and lovingly tucked her blankie around her little legs. It was a short distance to the medical building, where we rode the elevator in anticipation of our 8-week prenatal appointment. We spoke with Katie of Santa and how he couldn’t wait to meet her later that afternoon. We were truly elated that the day of our appointment had finally arrived. It had taken us five months of temping and charting to conceive. Nichole? We’re ready for you. Wow … Katie is getting so big! It was at that same 8-week appointment, nearly two years before, that we had heard the the first sounds of life from our beautiful Katherine. After a year of trying to get pregnant, finally hearing her heartbeat made her so real, so completely ours. And as we sat, in that very same room, we were thrilled to have her with us as we prepared to hear her sibling’s heartbeat for the first time. Okay, this gel will be a bit cold … so sorry. The moment when the nurse placed Katie onto my chest for the first time, when I felt her warm and wonderfully sticky body, will forever be a pivotal moment in my life. After a difficult pregnancy and eight weeks of complete bedrest to stave off preterm labor, she was safe and warm and she was ours. Okay, let’s take a listen to this little one’s heartbeat. Once Katie got the hang of nursing, I came to treasure those moments that were ours alone. That connection, holding her in my arms, smoothing her downy soft hair, holding her tiny baby girl hands while she looked at me, was a gift beyond measure. I was so eager to experience those early days again, to snuggle our tiny baby while we established our nursing relationship. Hmmm…sometimes the heartbeat is too quiet to pick up with this fetal Doppler. When Katie was learning to crawl, we enticed her from her rocking position with her favorite pink bunny, placing it just beyond her reach, encouraging her to push herself to get it. That moment, when the lurching turned to crawling, was bittersweet. My beautiful baby somehow, in just an instant, seemed less of a baby. Let me just run and grab the sonogram machine. Katie walked at ten months. Her first, tentative steps were taken in our bedroom, with the lure of her grandmother’s necklace, held just beyond her reach. Once she began walking, there was no stopping her, our baby, still a baby, but somehow older than her months. I’ll be back in a just a minute. We’ve always treasured bedtime. When Katie was small, Craig began the ritual of reading three books to her each evening. When they finished their books, I would enter her room, Craig would wish her a good night sleep, and then I would quietly nurse her before carefully placing her in her crib for the night, wishing her the sweetest of dreams. I would close the door with one hand and blow kisses with the other, just as Craig and I do to this day. Okay, let’s have a look … Hmmm. We always knew that we wanted to have at least one more baby, to give Katie a sibling, to have another baby to love. It finally felt as though the time was right and we were so eager to see how she would respond to a baby brother or sister. This family that we’ve built has filled an emptiness in my heart. This life that we’ve given Katie, this life that she has given us, has brought me joy and a sense of fulfillment beyond compare. Being a part of a traditional family for the first time in my life has been completely amazing. I’m afraid there’s no heartbeat. Craig’s grip on my hand tightened and when I looked over at him, seeking his soft eyes, through my welling tears, he and Katie blurred into one. One beautiful family within my reach. We gathered our things, too pained to know what to say to one another, too numb to know what to say to ourselves, and we went to see Santa, just as we promised we would. In that moment, Katie couldn’t and wouldn’t know just how tremendous a loss we had just suffered, loss that would remain with us for always. What she did know, what she could feel, was the wonder of the season, the magic that we’d been speaking of for weeks. The love that we had for one another. When you have a toddler, life continues. You can’t simply put it on hold while you grieve. So, we celebrated Christmas as best we could, finding tremendous comfort in our beautiful daughter. A Christmas of considerable loss and unprecedented sadness. But still . . . Christmas. Above all, we were a family. And we had each other. I want to thank my dear friend, Kris, for holding my hand while I relived this painful experience. I love you, Kris. Beyond words. This post is linked up with Mama Kat’s Writer’s Workshop. The prompt was to write a post in response to one of five words. The word that I chose was excruciating. My little brother gathered up his things, jeans, flannel shirts, sweatshirt at 4:30. Hat, scarf, gloves, current favorite toy, Transformer or remote control car or video game or Walkman, all haphazardly shoved into his duffel bag. By 5:00, he was always completely ready to go. His father was to pick him up at 6:00…it was his weekend. He barely ate dinner on those nights, he was too excited. He was so quiet, playing in his mind the weekend ahead. He had been thinking about it all day. He would have two nights and two days until his father would bring him back home. I remember how he sat at the dining room table, his feet not quite reaching the floor. His dirty sneakers, worn, the white rubber trim flapping as he swung his antsy legs. Purchased too big to last just a bit longer, but worn before he even grew into them. Laces pulled tight, double knotted. And he waited, focusing on his black digital watch as the minutes crept by. He would alternately stare out the window, waiting to see his father’s headlights as he turned off the road and drove up the driveway, and put his head down on the table, intently listening for the sounds of his father’s tires as they crunched down the gravel driveway. At 6:15, my brother would call him. Of course there would be no answer. He would tell himself that his father must be on his way to pick him up. At 6:30, he would call him again. No answer. Perhaps he was just running late. Again at 6:45, 7:00, 7:30, 8:00. Finally he would reach his father, who would act genuinely surprised. He had forgotten. His weekend? Really? Was my brother sure? Well, it was so late. Perhaps they could just do it next weekend? No big deal, right? Okay, buddy? As each weekend slipped away and my brother grew older, his response to his disappointment changed. From tears and anger, to withdrawal and deep pain wearing the cloak of indifference. And each time his father overlooked him, a piece of my brother’s innocence broke away. His willingness to believe in others, diminished. I watched my once-tender and silly brother erode until the day arrived when his father was no longer his hero, until no one really was. He was left behind, abandoned by his father, who had begun a new life, with new responsibilities and new children to look after. A disposable boy, my brother. This post is part of my NaNoWriMo memoir and is in response to both Red Writing Hood prompts at The Red Dress Club.